Going to the gym has become more of a routine. Instead of thinking, “Should I workout tonight?” I think “Of course I’m going to workout tonight.” But near the end of the week it gets harder. I’m tired. A summer malaise has infected the office. I let my blood sugar get low and then I ate some chocolate and it made me feel like crap. 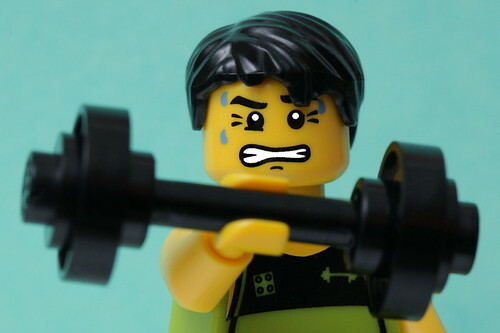 I fit in three workouts this week already — isn’t that enough? On days like these, motivation is hard to come by. Today, though, serendipity intervened in form of one of my favorite new websites, The Toast, and its new fitness column. I can’t even tell you how excited I am for this because I’m craving some real, positive talk about weight training and exercise in the context of what your body can DO and not just how it looks. Go read the article and you’ll see what I mean. I got jazzed and went to the gym like I’d planned instead of blowing it off. What does this have to do with a gratitude project? Well, being grateful for how my body looks is just too fraught thanks to our culture at this particular point in time. And also not a good idea generally anyway. Ugh. I can’t even go there. But I can be grateful for what my body can do, and I can be grateful for my health, and for good endorphins, and all that good stuff that comes from exercise. It’s easier to stay motivated if those are your goals. And I think that’s true for a lot of people, even if exercise just means taking a brisk walk (I love walks! Walks are so good for you. You don’t need to start lifting hundred pound weights at Crossfit if you don’t want to). So, while I’ll be blogging about a new challenge after July ends, if you’re interested in this sort of thing I encourage you to keep up with Nicole’s column. I know I will.